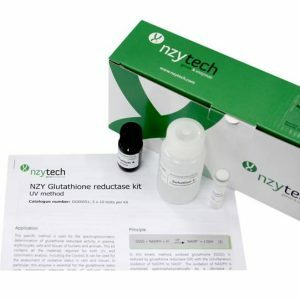 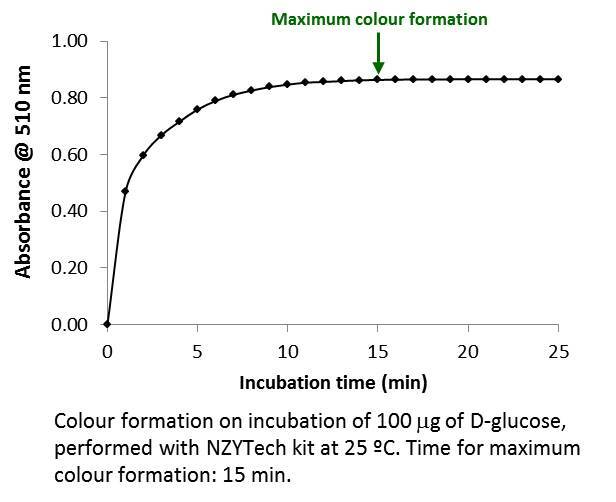 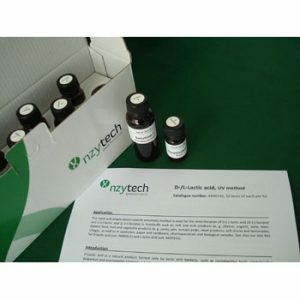 Rapid and specific colorimetric method for the determination of Sucrose and D-Glucose. 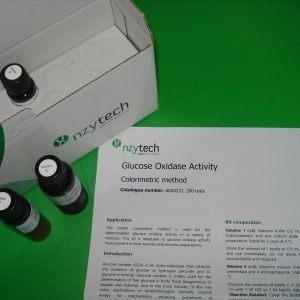 Based on the combined action of Glucose oxidase (GOD) and Peroxidase (POD).The D-glucose concentration is determined before and after hydrolysis of sucrose by b-fructosidase. 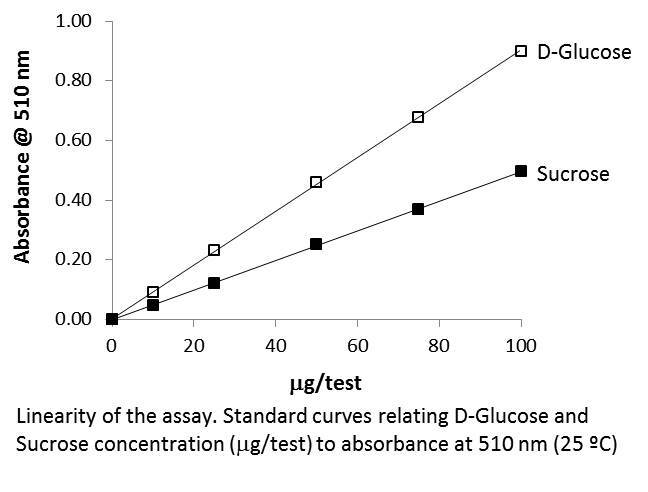 The sucrose content is calculated form the difference in D-glucose concentrations before and after hydrolysis by b-fructosidase. 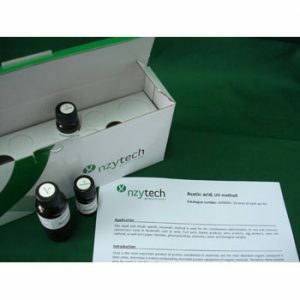 Wine, beer, fruit juices, milk, dietetic foods, bread, jam, honey, ice-creams, fruit and vegetables, pharmaceuticals, cosmetics and biological samples. 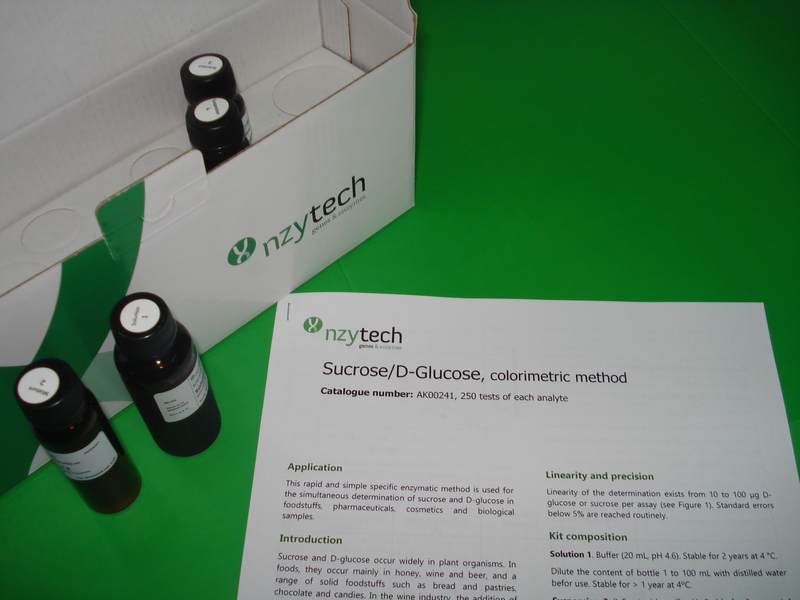 See applications for Wine, Food, Feed, Fermentation and Biofuel industries.